This gives you absolute control over the search engine submission process. Some engines like DMOZ do not accept auto submissions unless you enter the right submission code or choose the correct category. This feature allows you to do this quickly and easily within our interface and save you the hassle of having to find these engines yourself. With our search engine software, you can run your website submissions automatically at a specific interval and time such as every 30 days. This is imperative as it notifies the search engines of any updates to your websites and they can in turn, update their database. Our smart "Engine Builder" submission tool allows you to add your own search engines to the software increasing the number of engines you can submit to. 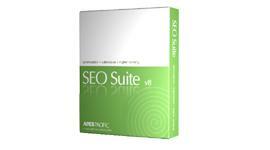 Why not try our search engine software tool for SEO for free now?